Washington National Opera announced today that famed director, administrator and avid scarf-wearer Francesca Zambello will be promoted from the position of Artistic Advisor to Artistic Director, effective January 1, 2013. She has served as the company’s Artistic Advisor since June 2011. This move is said to have finally solidified its reorganization after the departure of Placido Domingo and WNO's merger with the Kennedy Center. As Artistic Director, Zambello will have responsibility for the company’s artistic vision and direction, including repertoire and casting. She will work in close collaboration with Kennedy Center President Michael M. Kaiser, WNO Executive Director Michael L. Mael, and WNO Music Director Philippe Auguin to further the company’s long history of artistic excellence. She will also oversee the artistic growth of the company’s Domingo-Cafritz Young Artist Program and will guide the future of the American Opera Initiative, WNO’s new American opera commissioning program. She will continue to direct one production each season. Cesca is both a brilliant director and a highly effective administrator. Her stature in the international opera community enhances the company and I have great confidence that she will take WNO in a positive direction. It will be an enormous pleasure and honor to expand my role with WNO as its Artistic Director, maintaining the high standards set by my predecessors and leading WNO into the future. I will respect what appeals to our long-time patrons and supporters while at the same time work hard to attract new audiences to opera. I look forward to raising the profile of the Domingo-Cafritz Young Artist Program, continuing the great work already underway with the American Opera Initiative, and highlighting special and unique repertoire and artists that only the intimacy of the Kennedy Center affords us. This is a challenge I embrace unequivocally, and I look forward to sharing more of my plans in the coming months. 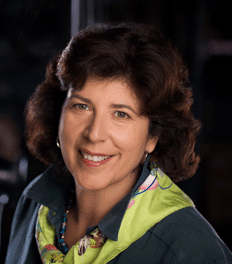 Francesca Zambello has enjoyed a storied career as both an opera director and an arts administrator and has an extensive history of success with WNO. She has directed numerous productions for WNO and will direct her new production of Show Boat in May 2013. As previously announced, she will bring her much-admired Ring cycle back to Washington in the spring of 2016. She also serves as the Artistic and General Director of the Glimmerglass Festival in upstate New York, where she recently directed an acclaimed production of Aida. Thus opens a new chapter at Washington National Opera.